On a rare weekend with little to do, Mr. Glib and I watched a couple of movies, and then I watched a couple on my own. Two new-ish ones (Precious-based-on-the-novel-Push-by-Sapphire and Bottle Shock) and two old-ish “horror” “classics” – Gremlins and Evil Dead II. Check out NineWordsorLess.com for my succinct reviews. 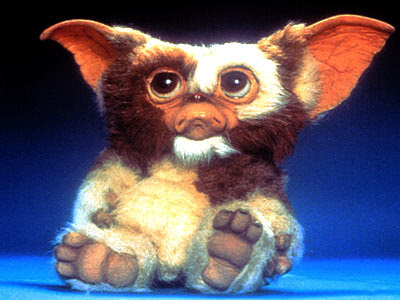 But may I just say that Feldman was adorable in Gremlins, and it was probably the Michael-Jackson mimicry that did him in forever. And until a few hours ago, I stupidly had no idea Spielberg or Judge Reinhold was involved. As for Evil Dead, with 98% on Rotten Tomatoes, with the unyielding devotion of Rob and Barry (John Cusack and Jack Black, respectively) in High Fidelity, with a 7.8 on IMBD … I thought it was pretty much horrificly bad. And not in a good, Grindhouse sort of way. Like … it was monotonous and annoying to watch, until possibly the final two-minute “twist.” But at least that one’s out of the way. Have I seen too many 28 Days Laters and Dawn of the Deads that I don’t appreciate the early genius? Or am I just not in the right mood to take it all in? Ahhh … Sunday night. Gotta love it.